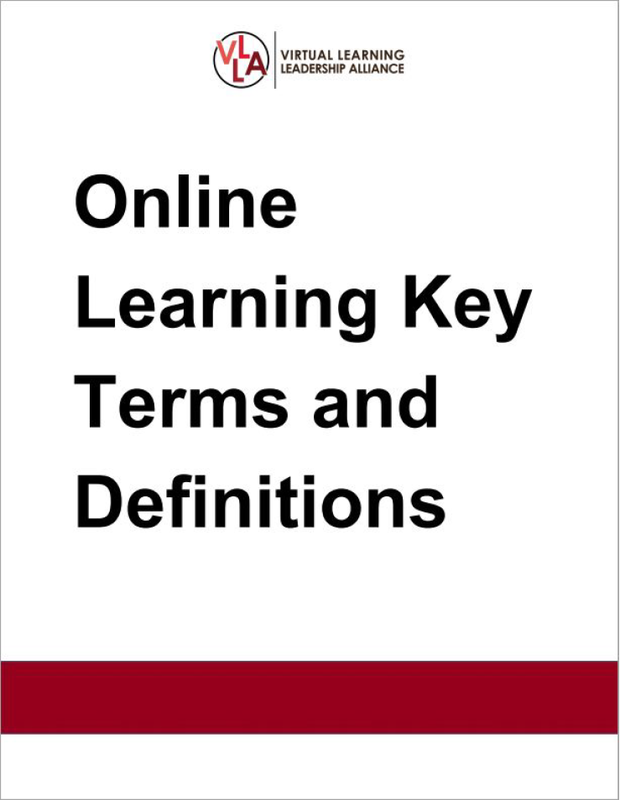 This page describes several key terms used by the Digital Learning Collaborative in presentations, documents, and on this website. We purposely call these descriptions and characterizations instead of definitions, because the focus should be on the value and effectiveness of instructional practices, not on whether a certain practice fits a specific definition. Online learning encompasses a wide range of educational activities, tools, and resources that are delivered via the Internet. These can be schools in which the large majority of curriculum is delivered online, and interaction between students and teachers, and between students, is mostly or entirely at a distance. Online learning can be the online component of specific activities in mainstream classrooms, such as students using instructional math software for an hour per week in a class that otherwise uses face-to-face teaching, group activities, and a range of similar approaches that are common in traditional schools. Blended learning describes any combination of online learning and site-based, face-to-face education. Although the DLC believes that student agency and the use of student data in instruction are valuable, we do not include these elements in our characterization of blended learning. Blended learning that substitutes for a traditional instructional activity may be unlikely to impact outcomes, while a use of blended learning that innovates instruction and student activity is more likely to have a positive impact. Both of these, however, may be characterized as blended learning. Digital learning encompasses online learning and blended learning and refers to any use of either of these. Educational technology includes digital learning as well as additional technologies that apply to activities other than instruction, such as student information systems and other technologies, that support teachers and administrators without involving students directly. Students are not required to attend the physical campus on a schedule that approaches a regular school schedule. The school might require students to be on campus a couple of days per week, but never five days per week. In our resources section (to the right) we link to a longer set of definitions created by the Virtual Learning Leadership Alliance, for those seeking definitions for additional terms.